This practical guide outlines a clear, customizable framework for building a strong culture foundation and steering the work directly at performance priorities. Written by a collaboration of culture experts, it includes proven approaches to connect culture and performance with clarity and speed. 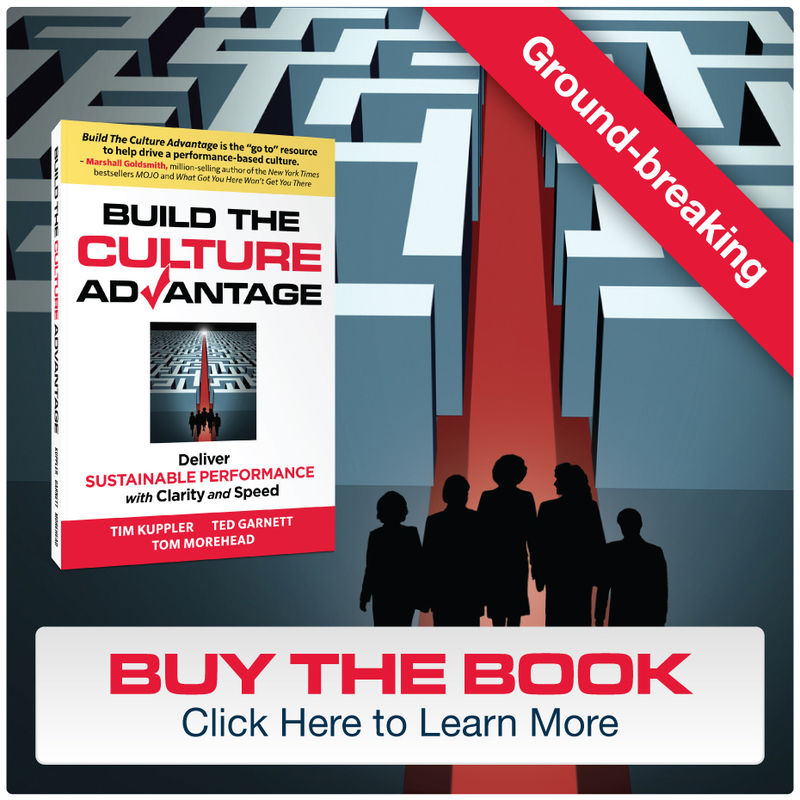 Build The Culture Advantage is the “go to” resource to help drive a performance-based culture. The authors provide a framework to optimize the power of culture. All leaders should use this book to take their team and organization to the next level! Whether a corporate P&L executive or small business owner, culture is often thought to be a soft academic subject that has little, if anything, to do with making money and growing a business. Build the Culture Advantage effectively connects top and bottom line results with building and managing a high performance culture. This is the best cultural tool and framework I’ve seen in 30-plus years in helping leaders build great business results. If you are concerned about performance, you have to be concerned about culture. High performance organizations are developed when the culture is clearly defined, aligned with the business priorities, and is managed effectively by the entire team. This book takes the mystery out of culture and its connection to performance. Using a step-by-step process, it clearly shows how the two are related and what you can do about it. If you are concerned about culture and performance, this is a must read for you and your team.